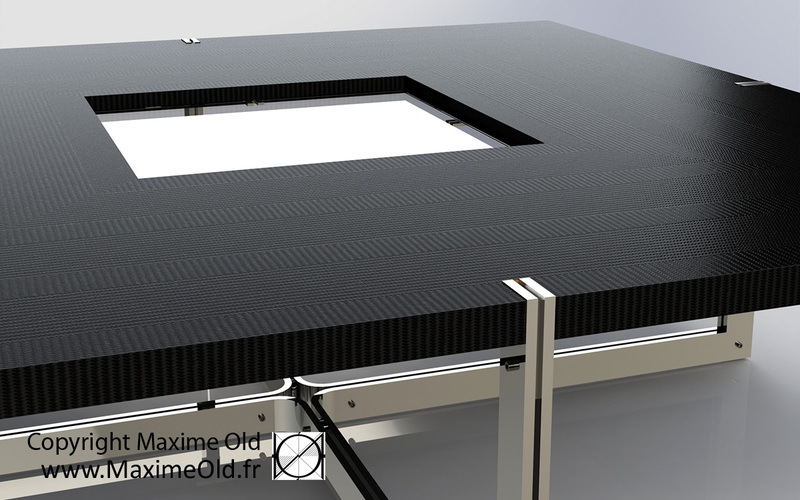 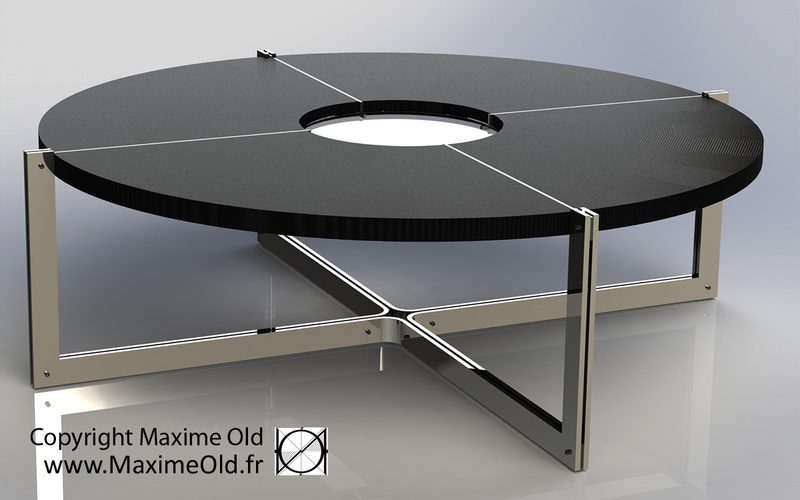 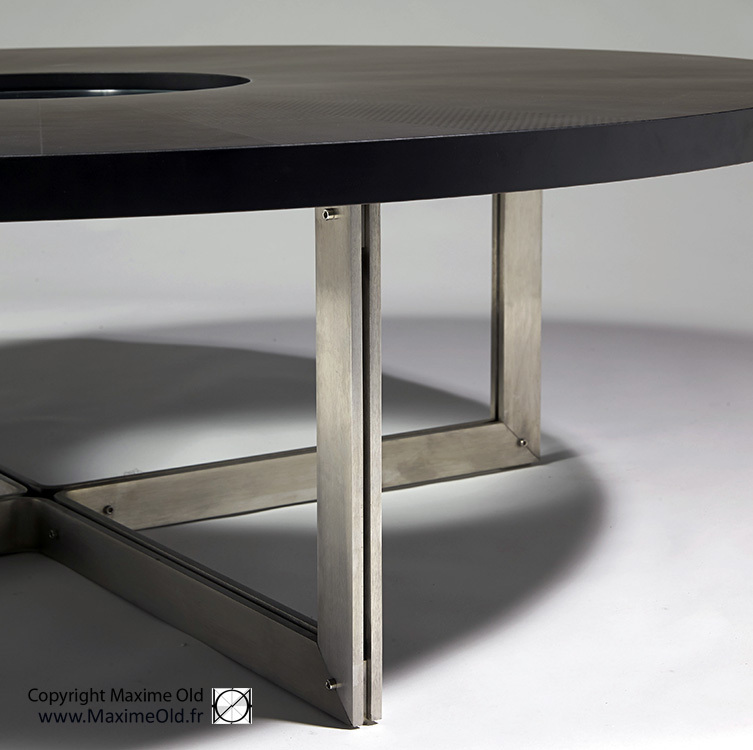 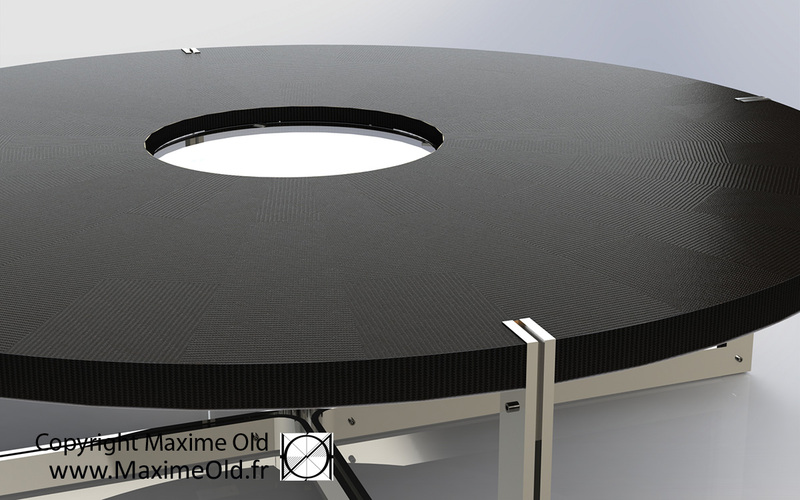 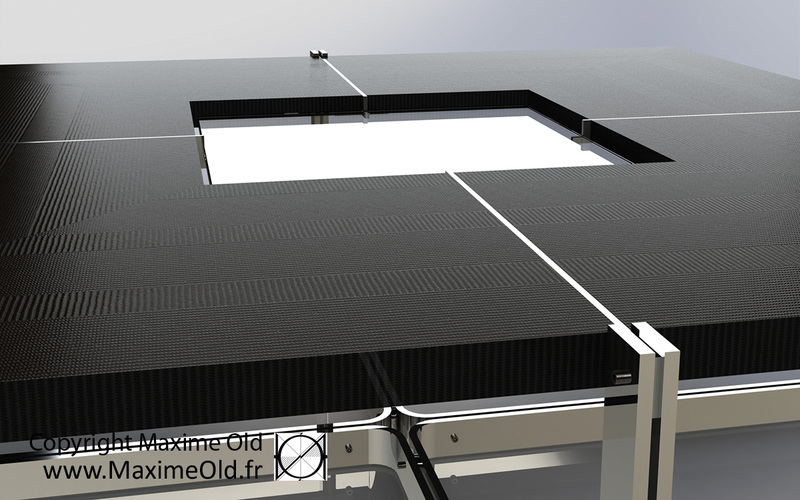 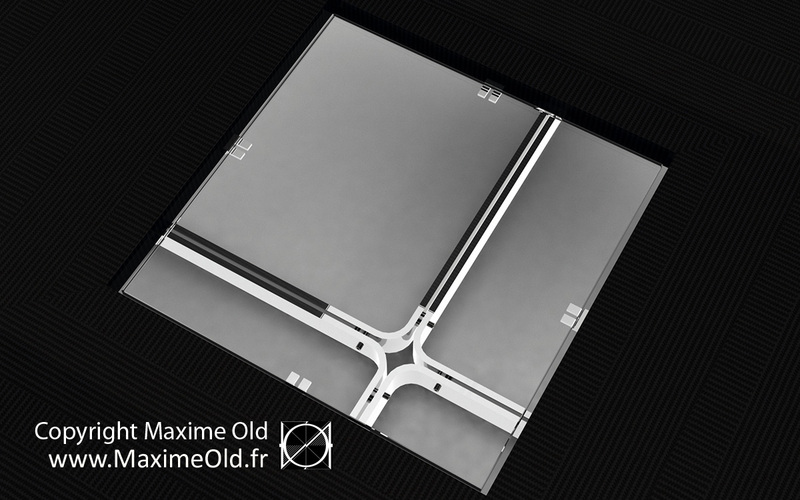 Maxime Old Compass Card Table results from the ocean-liner France inspiration. 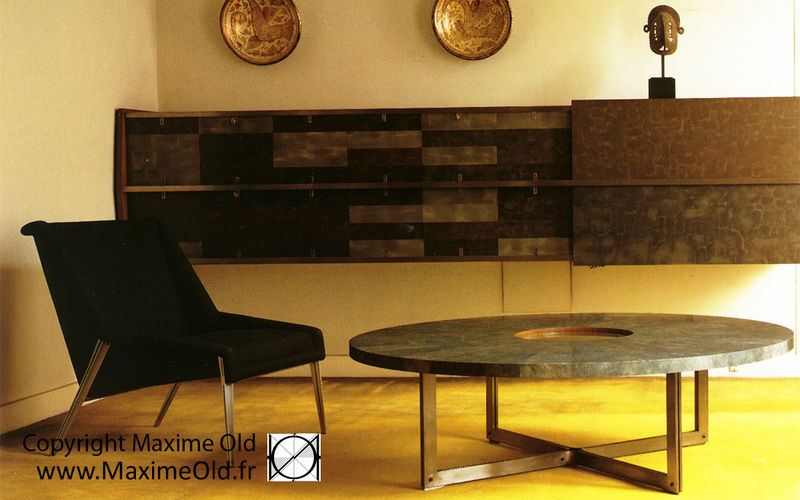 Maxime made only one item in the late 60s for his own sitting room where it is in harmony with the light armchair of the cruise-liner France and the furniture support. 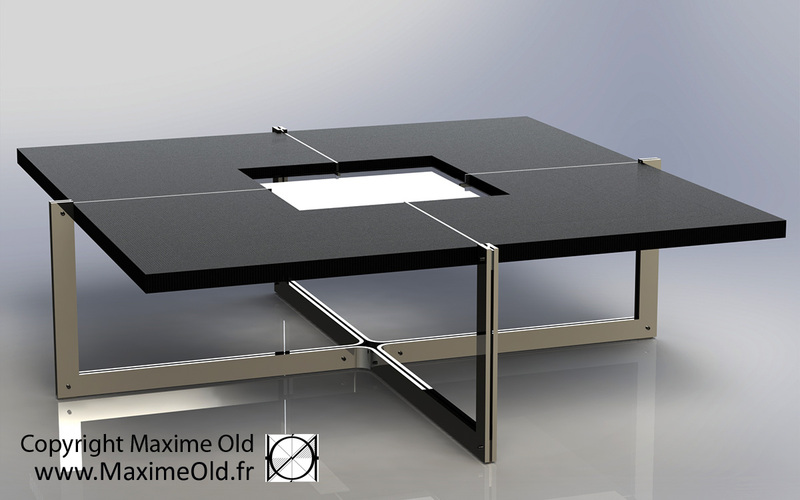 Variations are possible: square top and two other bases. 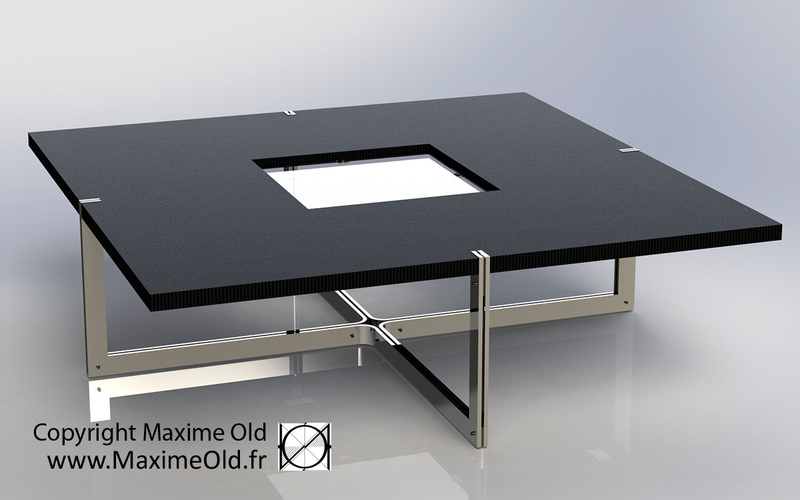 Never made, shown here in computer graphics, they may be ordered. 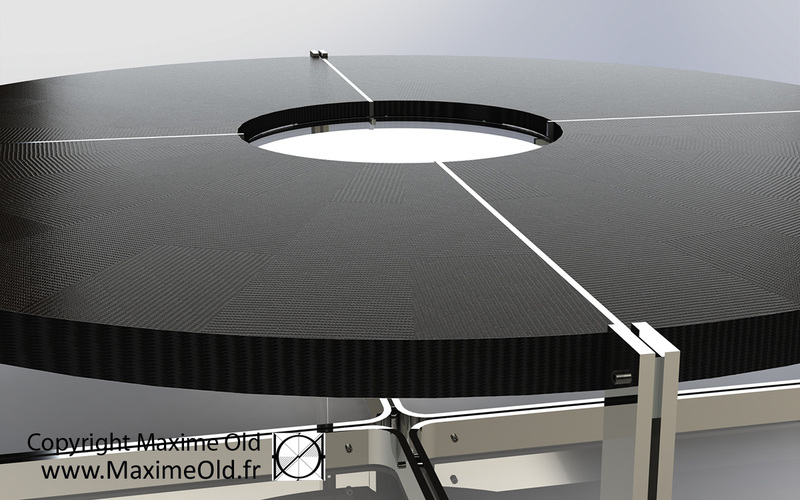 Moreover, the very special arrangement of material for the top enable unique pieces creation. 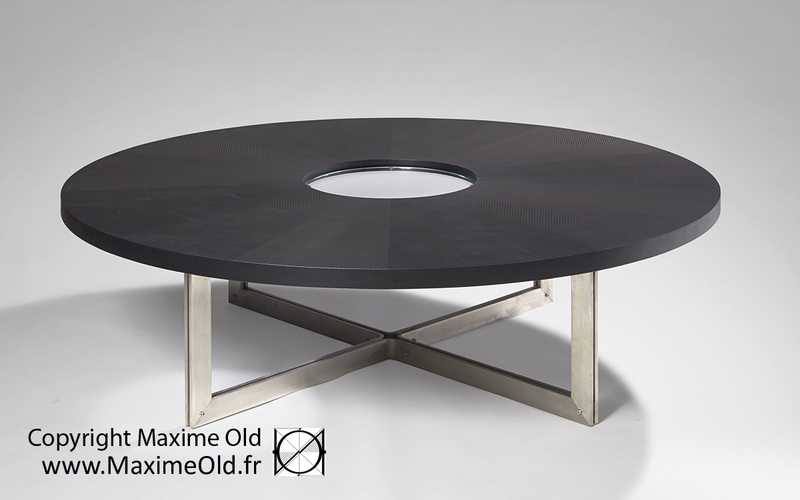 The Compass Card Table is part of the “Paquebot France Collection” (TM). 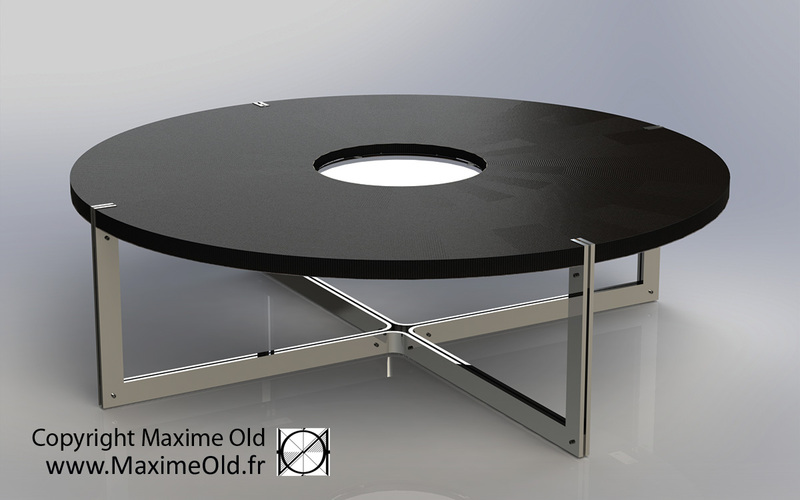 Dimensions (HxD) : 45 x 150 cm. 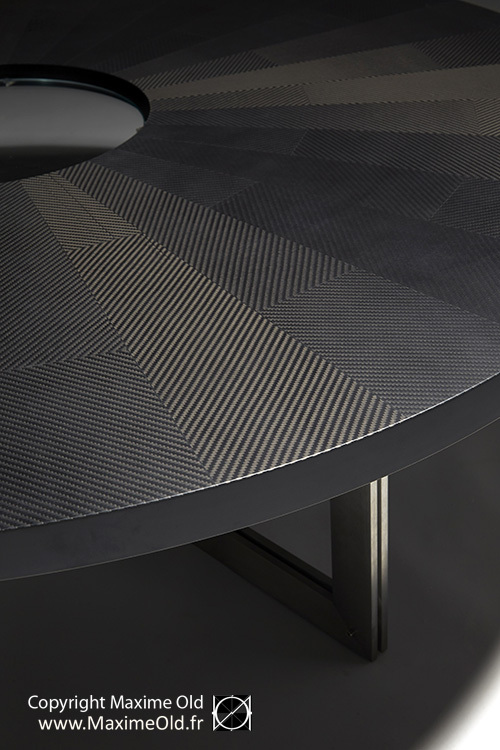 Materials : Stainless Steel and Carbon.